The CLTS Seminary Guild is by nature dedicated exlusively to supporting the students and mission of Concordia, St. Catharines. 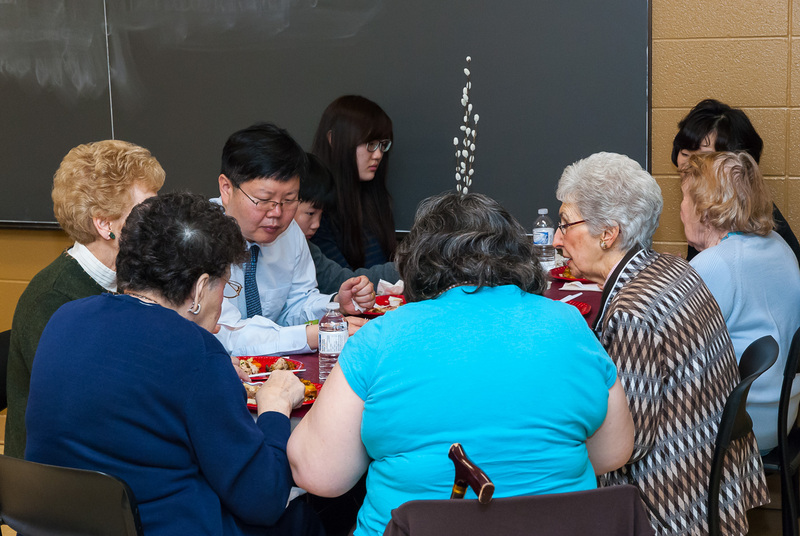 Each year they manage to renew their entire membership, collecting $5 from nearly 1000 people in the Lutheran churches of, primarily, Ontario and Western New York. This represents an enormous dedication, for which we are immensely thankful. Twice a year the Guild members meet at the seminary for business, worship, edification, and a common meal. 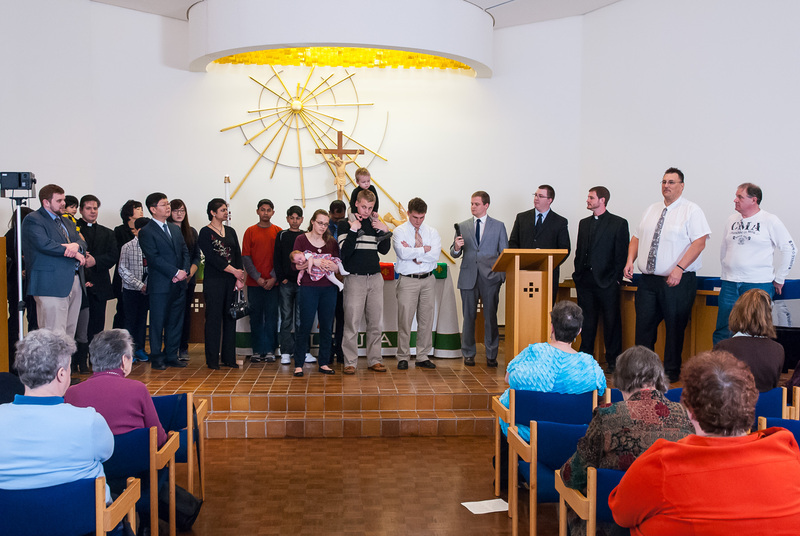 Over 100 filled the chapel for Matins, listened to the seminary choir, and were introduced to the current crop of students (above). 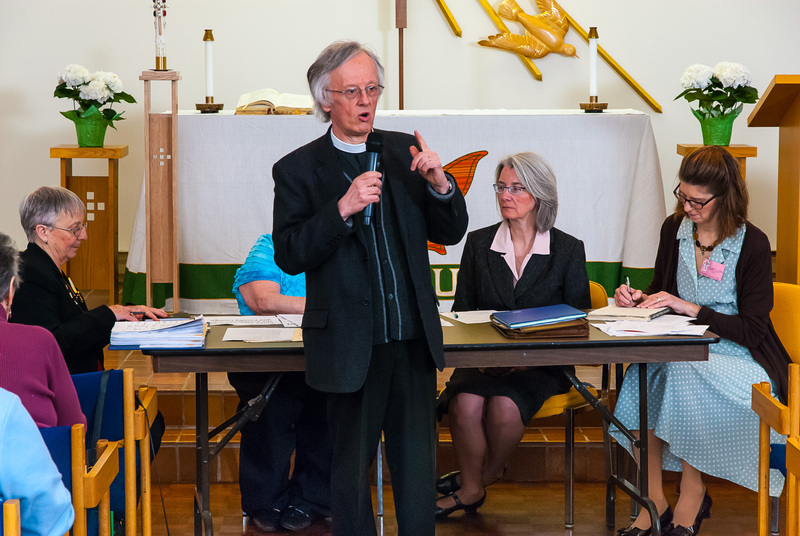 Rev Kurt Reinhardt, of Trinity Lutheran Church, Kurtzville, was their special guest on Saturday, 13 April 2013. 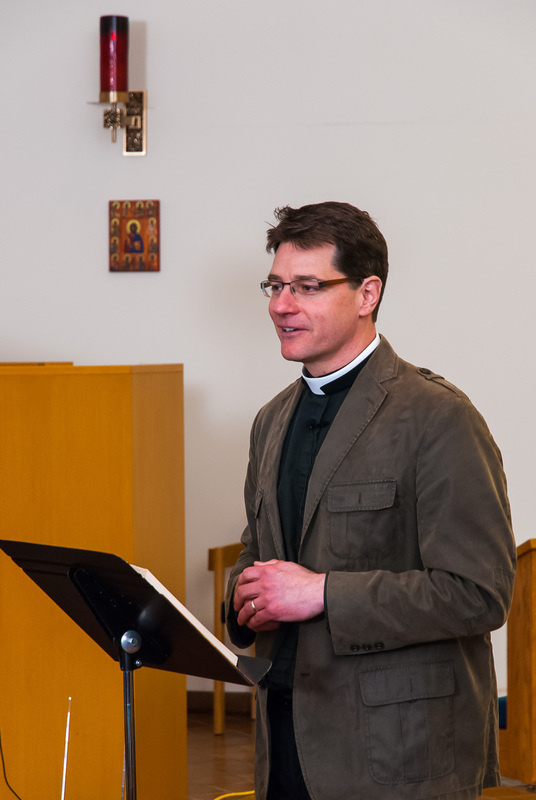 He captivated the audience with readings of his pastoral poetry and the stories that stand behind his growing body of hymnody. One of his hymns was included in Lutheran Service Book (616), and five other hymns were sung from a draft collection. Recollection of Christian suffering and Gospel comfort brought tears to many an eye. The Guild carries out its projects almost entirely from membership fees. In the past year they have replaced the fridge in the student kitchen, contributed to 20 kneeling cushions for the chapel, and purchased a set of vestments in the five liturgical colours. They also give grocery gift cards and bookstore vouchers to the students each year. At Saturday’s meeting the Guild adopted an ambitious plan to refurbish the furniture in the student lounge at a cost of about $8000. Although the resolution allow up to three years to pay for it, Guild members hope to raise the money much sooner through selling sponsorships of individual items of furniture. For $750 you can provide a couch, or for $250 provide an armchair. We’ll even take $375 for half a couch! Please contact Bonnie Stephenson (bstephenson@brocku.ca) if you would like to donate. More pictures of Guild Day are in our photo album here.